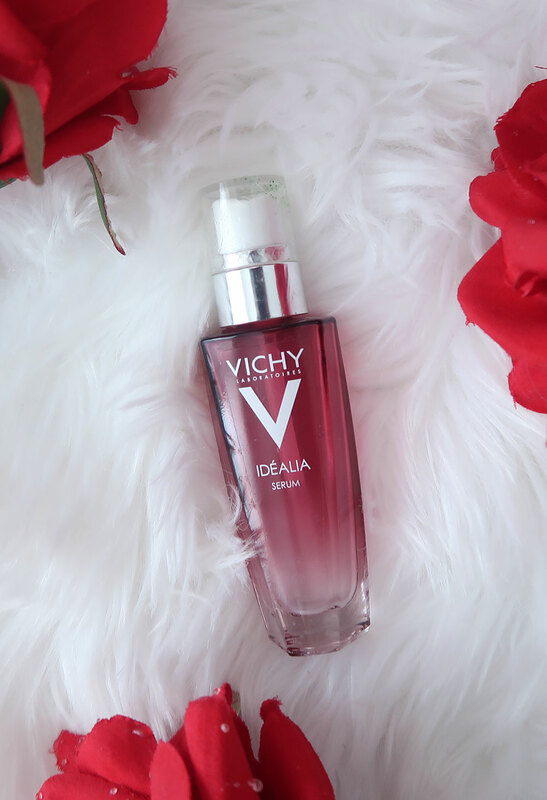 Vichy, founded in 1931, is a premium brand of skincare, body care, makeup, and anti-aging products owned by L’Oreal under it’s Active Cosmetics division. Their website explains their laboratories “explored the influence of a fast-paced lifestyle including stress, fatigue, and lack of sleep on skin quality to formulate our 1st antioxidant face serum that boosts skin for healthy looking, radiant sin. In just 8 days this radiance skin care serum leads the skin complexion to look more even, skin texture be refined, and pores seem less visible.” They exclusively use thermal spa water from hot springs in the town of Vichy, France in their product. Neat, huh? Basically, this is a serum that is designed for fine lines, large pores, and aging adult skin. It is designed to correct dullness and uneven skin tone. At 25 years young, these are not characteristics of my skin, but I do believe in taking good care of your skin starting at a young age to ensure better, healthier skin at an older age. Something nice about this product is that it is meant for all skin types! The serum is quite thin, so it basically absorbs the moment it is applied. Thankfully it does not look oily at all. I have oily skin and use The Body Shop Tea Tree Oil skin care line which I did a review for previously. 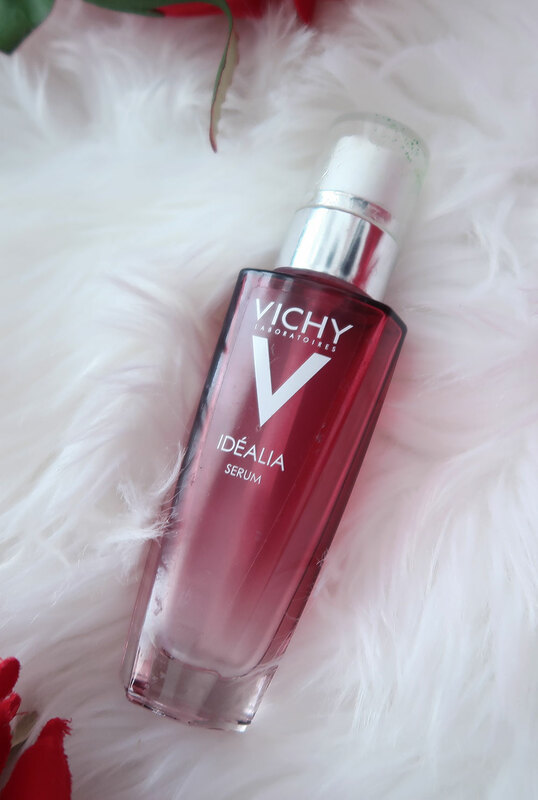 Remember how I said the water inside the product is from a hot spring in Vichy, France? This isn’t just any ordinary water though. Inside it contains 15 minerals that help strengthen your skin! It also contains Licorice Extract which is an antioxidant that serves to soothe your skin and enhance it’s plumpness. It is dermatologist tested, sensitive skin tested, and paraben free! Overall, I like this product. I feel it is a bit expensive for the size and amount of product they give you, but the quality is in the serum, and the money spent is worth it. Take care of your skin! I have used this product for about a month and right around the third week I noticed results on my skin. The instructions say to use it twice a day all over your face (morning and night) alone or under a moisturizer, but I only use it at night before bed. During the daytime I use something with SPF; the sun is unforgiving in Brazil where I am and protecting your skin is important!